A Short List of the Best Pictures Books about Martin Luther King Jr.
I’ve been on a mission! 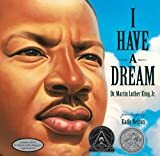 I am looking for the best Martin Luther King picture book for my young readers, and since I have kids a variety of ages, I wanted to select picture books and Martin Luther King biographies for kids of varying levels. My favorite Martin Luther King picture books are listed below. Happy Birthday, Martin Luther King by Jean Marzallo and illustrated by J. Brian Pinkney (Scholastic, 1993) provides a fresh view of Martin’s role as preacher and peace maker. It is geared toward very young children, so unfair laws and discrimination are mentioned but the harsh realities are not emphasized. 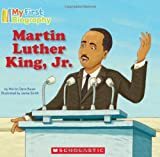 Martin Luther King, Jr. by Marion Dane Bauer (My First Biography series by Scholastic) is a perfect starter biography for the youngest of readers. My toddler enjoyed the cartoon illustrations but it also had a good amount of helpful detail to help her understand what the holiday is about at a very basic level. The Cart that Carried Martin by Eve Bunting and illustrated by Don Tate (Charlesbridge, 2013) focuses on the small mule-drawn cart that carried Martin’s body to the burial ground. I was surprised by how this simple story touched me! Martin Luther King was a humble man, even though he was a truly great one, and this tribute truly did him justice. A Picture Book of Martin Luther King, Jr. by David A. Adler and illustrated by Robert Casilla (Holiday House, 1989) is a staple in a popular young biography series. I felt it did a good job of covering the entire life of Martin Luther King, Jr., as well as his mission to change the world. Martin’s Big Words by Doreen Rappaport and illustrated by Bryan Collier (Hyperion Books, 2001) is likewise a gorgeously illustrated book, this one focusing on the life of Martin Luther King, Jr. Each event in his life likewise has a quote from his life. My Uncle Martin’s Big Heart by Angela Farris Watkins and illustrated by Eric Velasquez (Abrams, 2010) shares another unique perspective about the man: that of his young niece. Although the author was still quite young when Martin died, as an adult she still remembered the feelings she had as she visited with her uncle. This book helps show a more personal side of Martin Luther King, Jr. He was a family man, and he was a man that did all he did out of love. I appreciated that lovely perspective. Martin and Mahalia: His Words, Her Song by Andrea Davis Pinkney and Brian Pinkney (Little Brown, and Company 2013) compares Martin with the other powerful force at the Lincoln Memorial during the March on Washington, Mahalia Jackson. Since Martin Luther King, Jr., is often the only one remembered, I really loved the unique perspective of this book. Of course, we had to find a recording of Mahalia after we read this book together! I Have a Dream, with paintings by Kadir Nelson (Schwartz & Wade, 2012) is a gorgeous selection of favorite quotes from Martin Luther King, Jr.’s iconic speech. The entire speech is printed at the end of the book, and a CD recording is included. It is a great starting point for learning about his significant words. March On! 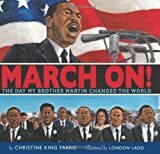 The Day My Brother Martin Changed the World by Christine King Farris and illustrated by London Ladd (Scholastic, 2008) is a more detailed account for older children about the March on Washington. It is written by Martin’s sister, Christine, so it is nice to hear her opinions on the unfolding events. Here are two great books for an older child to explore on their own! If You Lived at the Time of Martin Luther King by Ellen Levine and illustrated by Anna Rich (Scholastic 1994) is from another go-to biography series, this time with far more information for the much older child. There are fewer pictures, and the history is packed in to the text, organized by questions. A Table of Contents and an Index help guide the young learner. Who Was Martin Luther King, Jr.? by Bonnie Bader and illustrated by Elizabeth Wolf (Penguin, 2008) is a chapter book written for confident early readers. It follows the life of Dr. King chronologically, and I enjoy the conversational tone of the biography. It contains a wealth of information about the people surrounding Dr. King during the early Civil Rights movement, and I feel it offers a well-rounded coverage of Martin Luther King himself. As I mentioned last week, I made a book study for my son, and we’ve enjoyed working through it this week together. Which are your favorite books to read with kids at this time of year? 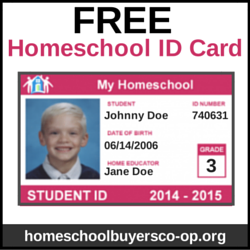 You may also be interested in this book study!